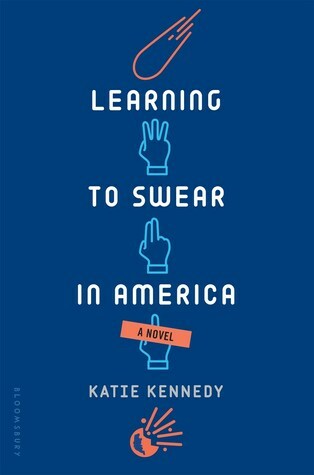 Katie Kennedy’s LEARNING TO SWEAR IN AMERICA is young adult science fiction that old folks, like me, can enjoy just as much as the youngsters. Full disclosure, I was a critique partner with Katie, so I saw this tale early on. Of course, all that really means is that I got to fall in love with this novel before most people got to see it. This is the story of Yuri, a Russian physics prodigy who comes to America to help NASA deal with an asteroid that is hurtling toward Earth. Not only does he have to contend with the Government and the jealousies of older scientists, but he also has his own teenage awkwardness to cause him grief. It isn’t easy when he finds himself going from the sheltered existence of a Russian prodigy to the chaos of American youth culture. He finds American allies in Dovie, an odd-ball in her own right, and Lennon, her wheelchair-bound brother. Yuri is lacking in social confidence but doesn’t give up trying. Dovie is a definite social outsider, but without the doom-and-gloom attitude so often associated with such a character. Her brother is a snarky wise-guy, but is admirable in not letting his handicap hold him back. The three together are a team you can’t help but root for, especially near the end where things get really sticky. It is so refreshing to see the action carried by these three rather than stereotypically beautiful and athletic heroes. After such a great debut, I’m looking forward to see what Katie does next. In the meantime, this website is sponsoring the giveaway of a hardcover copy of Katie’s novel over on Goodreads.